1. China-US trade ceasefire: The world's top two economies have agreed not impose new tariffs on one another while trade talks continue. "We're putting the trade war on hold," US Treasury Secretary Steven Mnuchin told Fox News on Sunday. After talks in Washington, China has agreed to "significantly increase" purchases of American goods and services to reduce its huge trade surplus with the United States. But experts say the underlying issues that have fueled economic tensions between the two countries, including how China gets its hands on American technology, remain unresolved. 2. Ryanair's soaring profit: Ryanair (RYAAY), Europe's biggest low-cost airline, reported a 10% increase in annual profits on Monday. That's despite having to cancel a large number of flights last year because of pilot strikes and scheduling problems. However, the airline has warned it expects profits to fall this year because of higher staffing and fuel costs. Ryanair stock dropped 1.1% in London after the open, but rebounded by mid-morning to trade up more than 1%. 3. Italy in the spotlight: The main Italian stock index in Milan was 1% lower early on Monday, the only major European market not in positive territory. Investors were also dumping Italian government bonds, and the euro was down 0.3% against the dollar. Concerns remain about the populist parties that are on the verge of forming a new government in the eurozone's third biggest economy. The party leaders are expected to meet the Italian president as soon as Monday to present him with the name of their nominee for prime minister. European markets opened higher. The UK's FTSE 100 reached a new all-time high, boosted by the pound's recent decline against the dollar. The index is dominated by international companies whose profits benefit from a weaker pound. In Asia, most major markets posted gains. The Dow Jones industrial average closed flat on Friday. The S&P 500 was down 0.3% and the Nasdaq shed 0.4%. 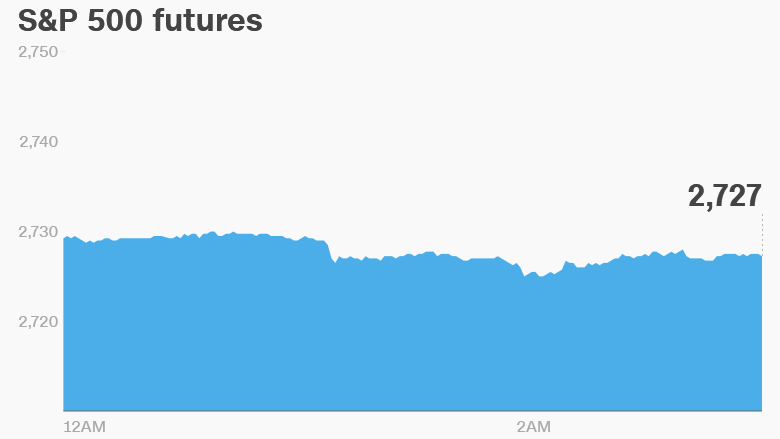 US crude futures were 0.5% higher on Monday, trading at $71.60.